Many businesses start with a partnership between the two or more directors. Some of them become successful with an excellent partnership, while in some cases the partnership becomes a bitter experience and thus the partners are required to be separated. An effective agreement has to be done for forming a business in partnership. A similar thing is required when it comes to breaking up the partnership. A written Business Agreements should be done to continue the due legal process of breaking up a partnership between two or more business directors. A business partnership separation agreement should be considered as a legal document, where two or more business owners should declare consent for separation. 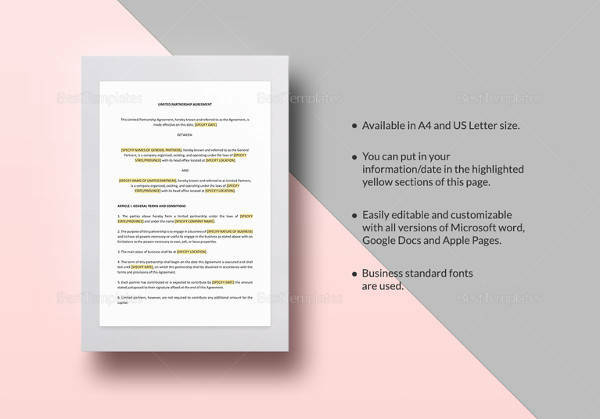 Since it is a legal document, it needs to follow specific format and writing style. To create such an agreement, using a template is an effectual idea. 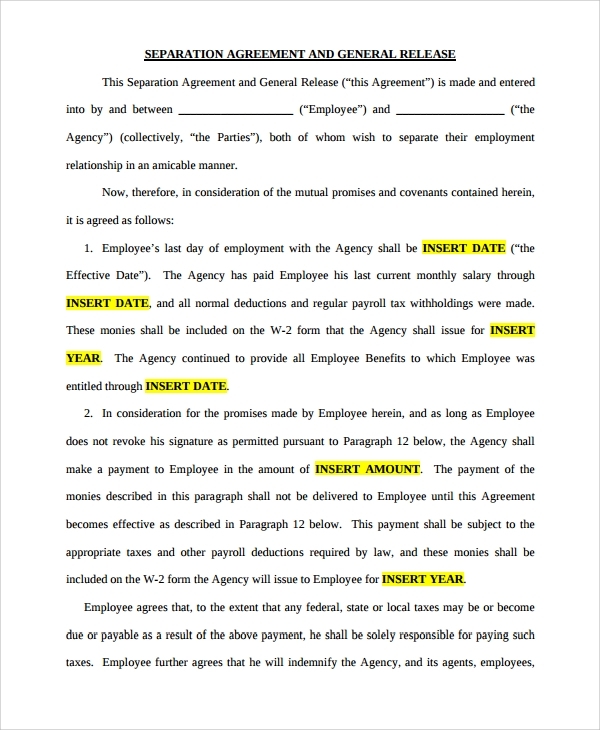 This template has been designed to provide a sample agreement between two directors of a small business owner. The sample can be customized as per the name of the partners and business name. PDF format can be printed easily without any hassles. 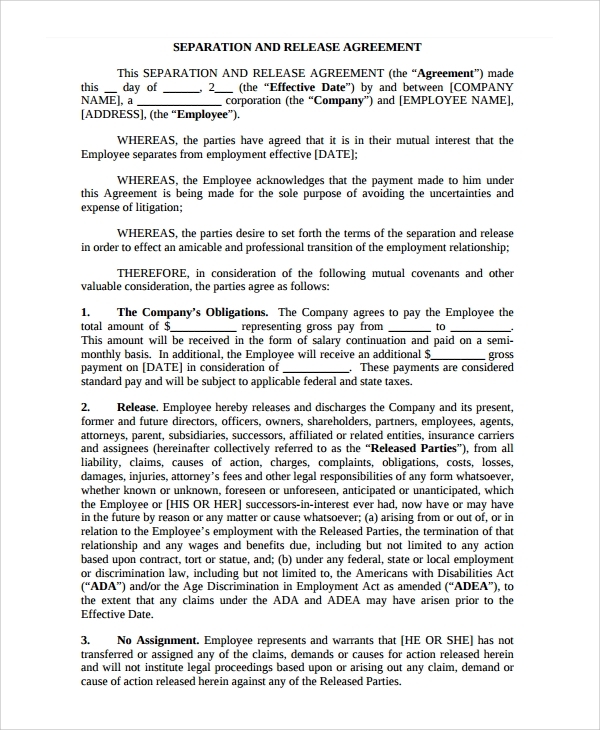 This is a sample or template for a business separation agreement. Legal documents need to follow proper format otherwise, they would lose importance. 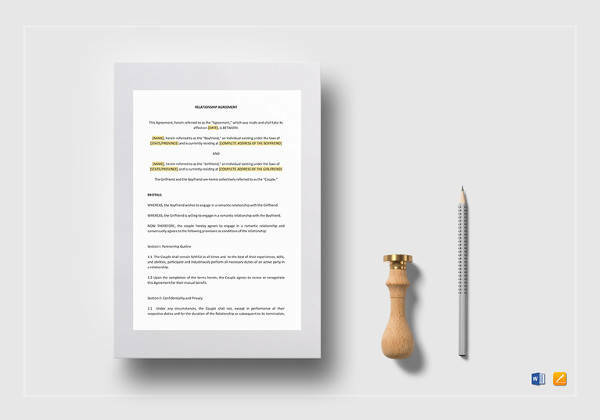 So, this business partnership separation agreement template has been crafted with precision to suit any business, belonging to any specific industry. 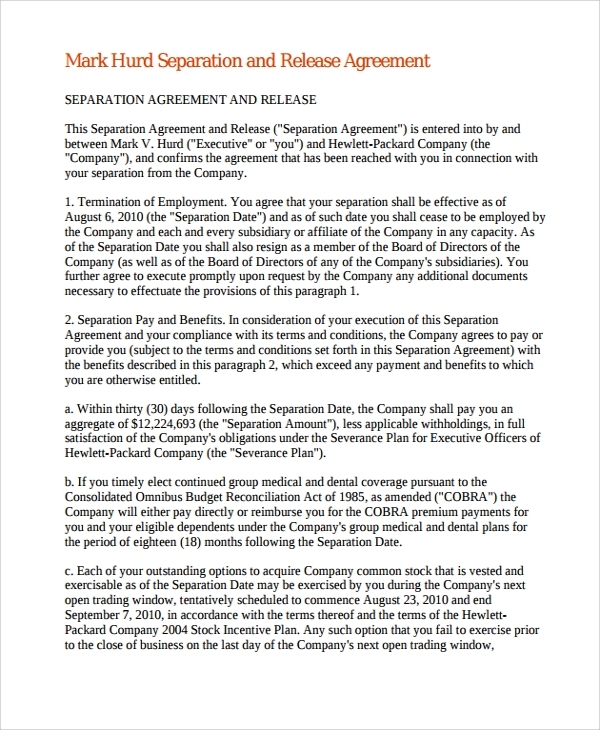 This template is a combination of both business separation agreement and general release. This ready to use template can be used for any professional purposes. It possesses the right format for a business separation agreement. Just customize it and print the document to use for your purposes. What is a Business Partnership Separation Agreement? To start a business in partnership, a legal agreement has to be signed by the business partners. A similar process needs to be followed when it comes to business partnership separation. The process should be followed legally and thus to keep legitimacy as well as transparency in the process of separation, a legal agreement has to be created. 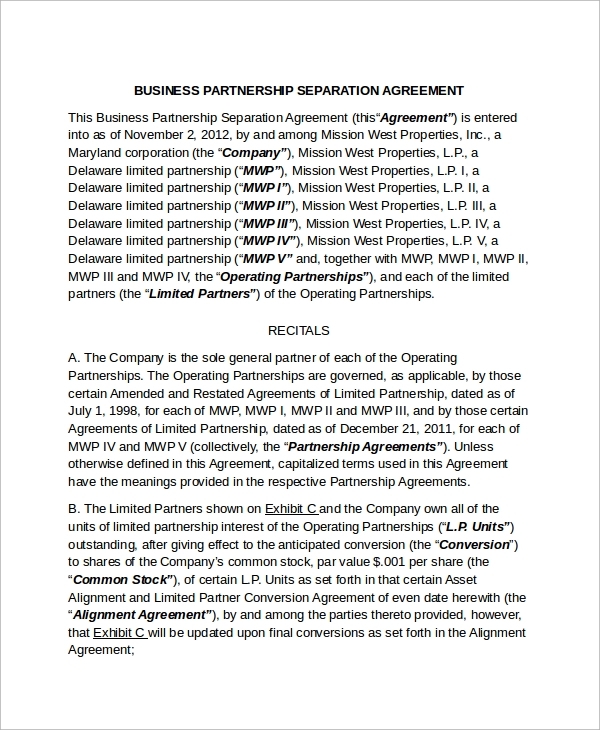 Upon signing this legal agreement, mutual separation of a business partnership will take place. This agreement has to be created with precision, as it is a legal document. It must follow standard structure and professional tone of writing. It should also include all necessary business details, along with a declaration from both the partners. How to Write Craft Business Separation Agreement? 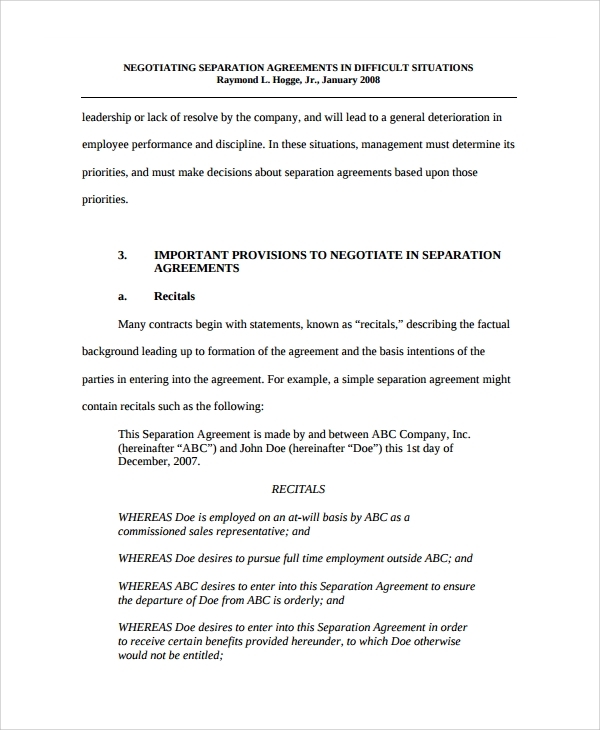 Writing or creating Business Separation Agreements is not simple. Since it is a legal agreement, it should incorporate certain legal terms, clauses and declarations from the business partners. Upon separation, profit, as well as capital investment, will also be separated. For that, mutual consent of the business partners is required. If there is no mutual consent, the business owners have to file a lawsuit in demand of fair business partnership separation. In that case, the agreement has to be crafted as per court settlement or order of the judge. 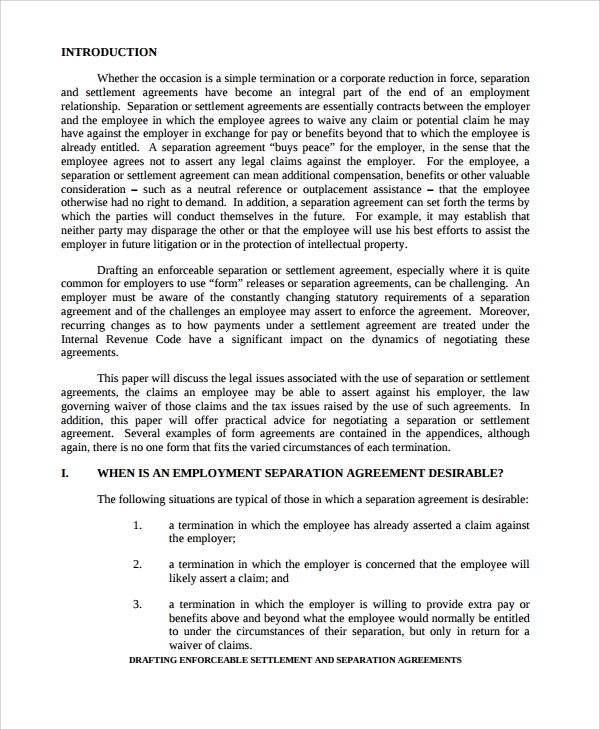 To craft a perfect business partnership separation agreement, using templates can be effective. What to include in a Business Partnership Separation Agreement? Ideally, business partnership separation agreement should start with an introduction, where the business has to be defined and partner names have to be mentioned. After defining the basic things, the next stage is writing the reasons of business partnership separation. It must have a date, mentioning the place too. It should have a conclusion, and after that, an area for signature can be found. Not just signatures of the partners, sometimes a few witnesses’ signatures are required. Upon signing the document properly, mutual business partnership separation process will take place legally. 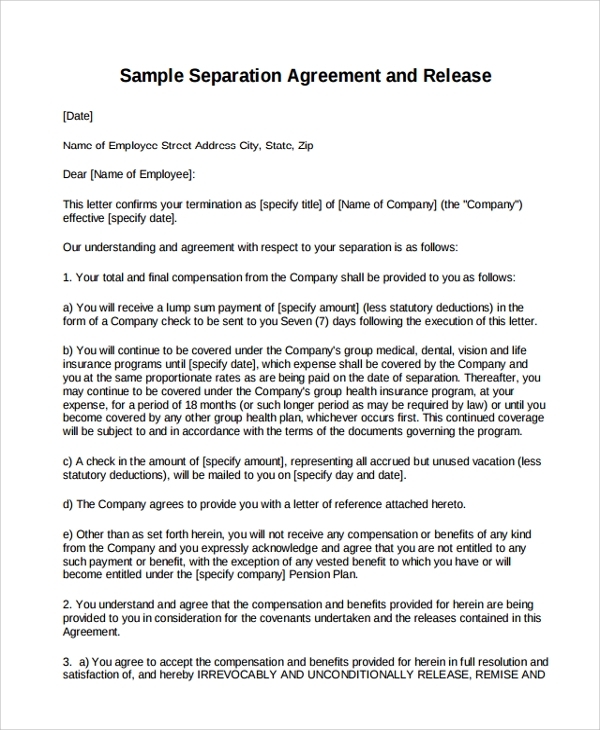 You may also see Business Service Agreements. It can be said that opting for templates for business partnership separation is a better choice than following the hassles of writing the whole thing. One major benefit is that template will tell you the format which you need to follow. 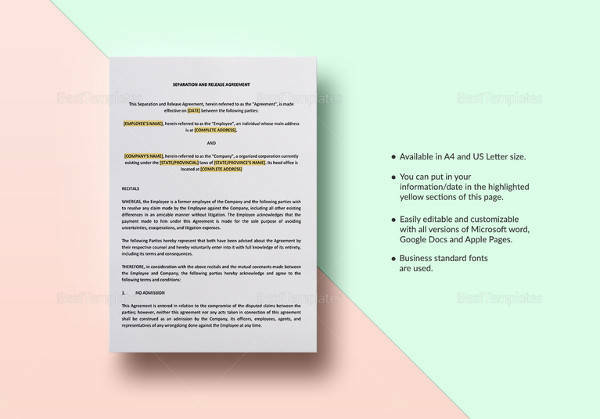 You can customize the templates and then can consider printing the PDF agreement.